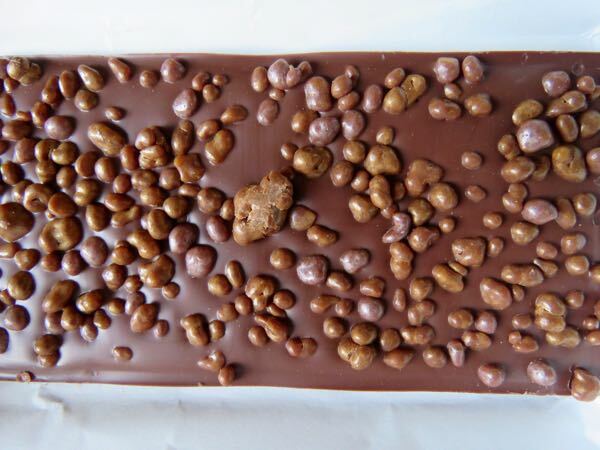 Take a virtual voyage to Iceland, via chocolate. 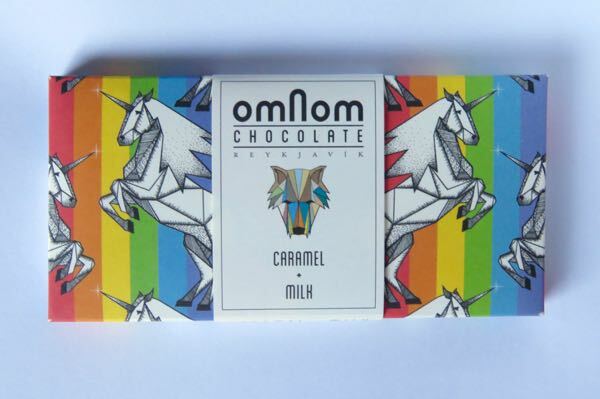 This beautifully packaged Caramel + Milk bar from OmNom Chocolate was made in Reykjavik, Iceland. 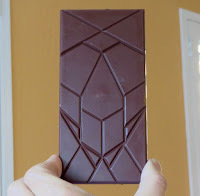 The milk chocolate (made with Icelandic milk) was more flavorful than most milk chocolate or caramel bars. It had fruit and faint earth notes that weren't entirely muffled by the milk or overshadowed by sugar. 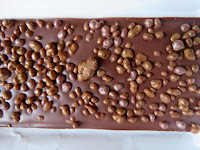 Instead of a velvety pillow of caramel filling, the caramel in this bar was incorporated into glossy granules that adorned one side of the bar. Take time for your senses to enjoy the layered goodness as you unwrap and taste this bar.